When three creative musicians get together to think outside the box, anything can happen. 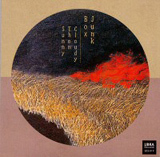 Pianist Satoko Fujii calls her new trio Junk Box because of the spontaneous aspect of its performance. Part composition and part collective improvisation, her musical pieces are written out in graphic form instead of the usual notation. Composed improvisation means that direction is given, but the artists have plenty of freedom to make spur-of-the-moment choices, which places their goals squarely in the center of jazz's definition. 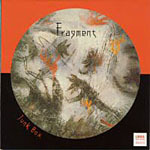 Avant-garde music such as Fujii's carries distinct impressions. We, the listeners, have the freedom to interpret it as we like. As with the musicians who will always present a different "reading of the program every time out, we have the freedom to view the musical impressions differently with each listen. Thus, this recording never ages. Fujii has found a veritable fountain of youth. When trumpeter Natsuki Tamura introduces kissing sounds to "At Intersection, on a Rainy Day, he implies a relaxed position. Tension builds, as the rainy day in traffic becomes weary. Your Neighbors finds Tamura imitating an emergency vehicle. Or is it? Percussionist John Hollenbeck adds a serious snare drum call to the neighborhood, just as Fujii has some fun with excerpts from "Für Elise, "Shadow of Your Smile and Mendelssohn's traditional "Wedding March. Each of the three has plenty of fun with an infusion of outside ideas into this piece as they build to a groove and heighten the emotional level extensively. Those are some neighbors! On another piece, Hollenbeck provides impressions of food cooking. In another piece, Fujii creates the scurrying image of ants doing their thing in an extended line. "Tin Can Godzilla ushers in a new spate of power from piano and drums that leads to Tamura's melodic trumpet calls. Fujii and her trio take on the world and release impressions that can be interpreted any way you like. The program comes with many pleasant surprises and calls for repeated listening. Both accessiblecontaining a few rhythmic groovesand challenging the listener with deep material that requires sorting, Fragment comes highly recommended. Track Listing: A Dream In The Dawn; Ants Are Crossing The Highway; Getting Lost On A Snowy Day; At Intersection, On A Rainy Day; Looking Out Of The Window; Your Neighbors; Wok Cooking; Tin Can Godzilla; Cat's Nap; Lullaby.